There has been a castle on this site since 1172 when the Norman Knight, Richard de Clare, called Strongbow, built a wooden tower on this rocky height overlooking the River Nore. The first stone castle was built here twenty years later by Strongbow's son-in-law William Marshall, Earl of Pembroke. Three of this castle's original four towers survive today. A busy and successful commercial centre grew around the original Norman settlement, and the present Hightown and Irishtown areas of Kilkenny today date from that period. 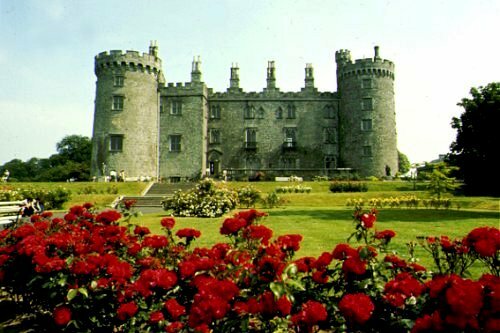 The Butlers of Kilkenny Castle were an Anglo-Norman family who came to Ireland in 1171 in the first wave of the Norman invasion. 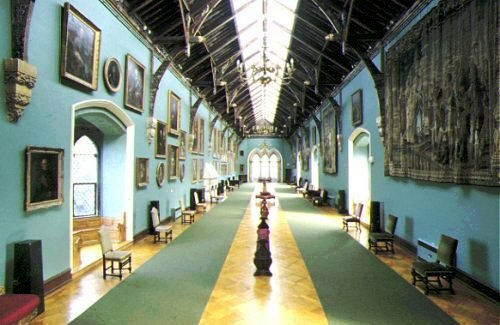 In 1826, major restoration of Kilkenny Castle began, this work was intended to restore the castle to it's mediaeval appearance and also bring it up to date as a country house with all appropriate modern conveniences. At the turn of the century James Butler, twenty first Earl and third Marquess of Ormonde, entertained King Edward v11 and Queen Alexandra here, and later, King George and Queen Mary. On 2nd May 1922 the castle was occupied by republican forces, after two days however it was restored to the Butlers after a seige. By the 1930's the Butlers found that they had to look closely at the viability of maintaining their seat at Kilkenny Castle. In 1935, they decided to leave and a great auction was held in the castle. For five days all the contents of the castle were auctioned off. 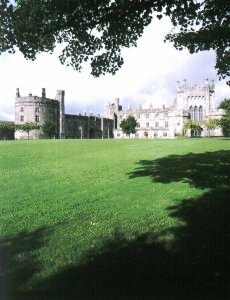 In 1967, Arthur Butler, sixth Marquess and twenty-third Earl of Ormonde handed Kilkenny Castle over to the Castle Restoration Committee for the nominal sum of £50. After treating the fabric of the building for dry rot and wet rot, a phased programme of restoration started. The east wing was re-roofed and opened to the public in 1976. Kilkenny Castle, Saint Canice's Cathedral, Rothe House, Black Abbey, Kells Priory, Tullaherin, Cantwell Fada, Jerpoint Abbey, Inistioge.